Australian medical device provider Cochlear has unveiled a new cochlear implant sound processor dubbed as Cochlear Nucleus 7 Sound Processor, made exclusively for iPhone. The Nucleus 7 Sound Processor was approved last month by the US Food and Drug Administration (FDA). It is claimed by Cochlear to be the smallest and lightest behind-the-ear cochlear implant sound processor in the market. By using the wireless technology-based Nucleus 7 Sound Processor, users with a Cochlear Nucleus Implant can stream sound directly from a compatible iPhone, iPad and iPod touch straight into their sound processor. Additionally, the users can also control, monitor and customize what they hear on their iPhone or iPod touch by using a Nucleus Smart App. Cochlear CEO and president Chris Smith said: “The approval of the Nucleus 7 Sound Processor is a turning point for people with hearing loss, opening the door for them to make phone calls, listen to music in high-quality stereo sound, watch videos and have FaceTime calls streamed directly to their cochlear implant. 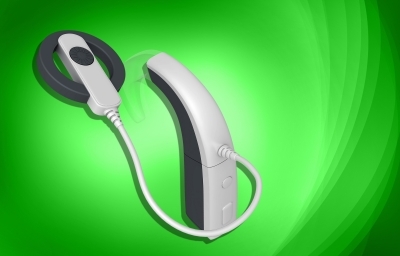 Cochlear is looking to commercially launch the Nucleus 7 Sound Processor in September in the US and Canada. In both the countries, the new cochlear implant sound processor will be launched as an upgrade in October for recipients having the Nucleus CI24RE, CI500 and Profile Series Implants. The Nucleus 7 Sound Processor as per Cochlear is 25% smaller and 24% lighter than the Nucleus 6 Sound Processor. It also comprises the SmartSound iQ with SCAN and dual microphone technology to assist users to hear more clearly in any kind of environment. Image: Cochlear has introduced a new cochlear implant sound processor for iphone users. Photo: courtesy of dream designs/Freedigitalphotos.net.